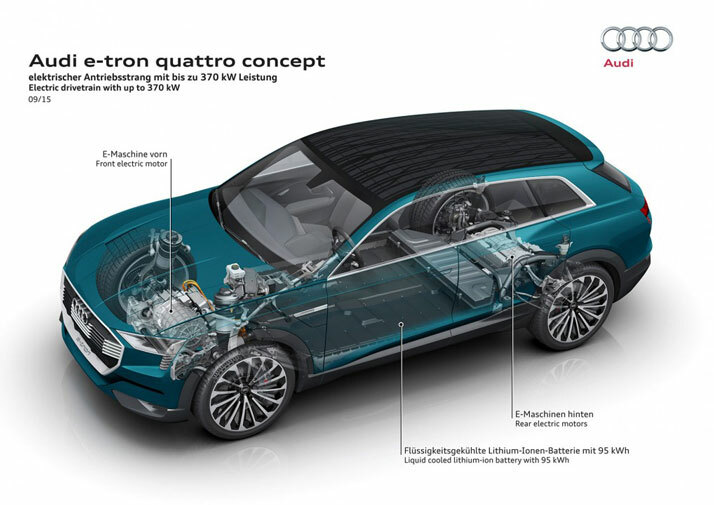 The Audi e-tron quattro has 429 bhp naturally, with a boot mode that puts out 496 bhp and 590 ft. lbs of torque from three – one front and two rear for better center of gravity – and is still all-wheel drive. It also has 310 miles or so range on a single charge and a built-in roof solar panel that gives up to 622 additional miles of range. Not only can you use the plug-in charger, but you can also use an AC/DC charger (150kW) and get a 249 mile range charge in about 30 minutes. 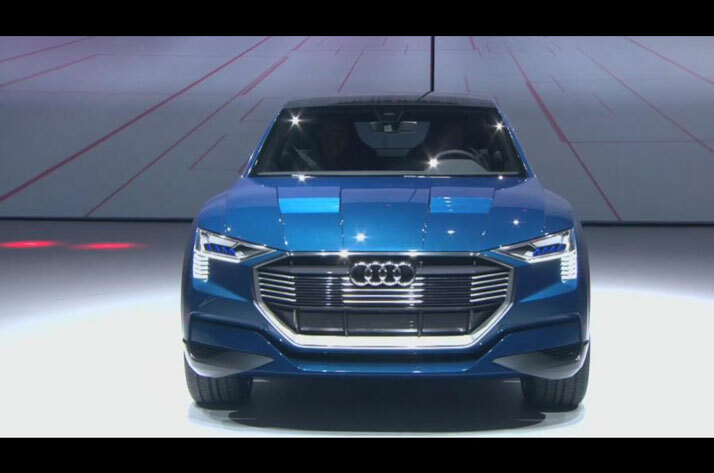 The e-tron quattro also offers wireless charging via charging plate imbedded in the ground. Mind you, this charging capability is more widely available in Europe than the US. As for interior and other tech, check this out: all-wheel steering; air suspension; and zFAS, or “central driver assistance controller”, which is fed by a combination of radar, video, ultrasonic sensors, and a laser scanner. Lastly, price isn’t mentioned…and I’ve searched. My guess is, like the Porsche Mission E, somewhere around $65,000 starting. Check out these photos and sound off below! 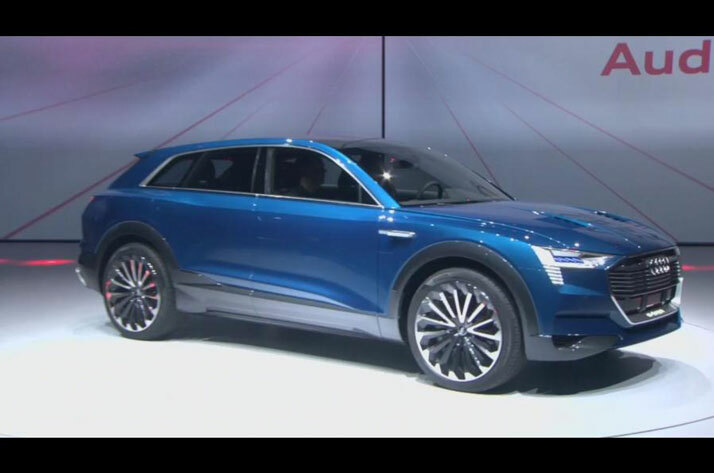 This entry was posted in Automakers and tagged audi, Audi e-tron quattro, Audi e-tron quattro Revealed, electric cars, electric SUV. Bookmark the permalink.